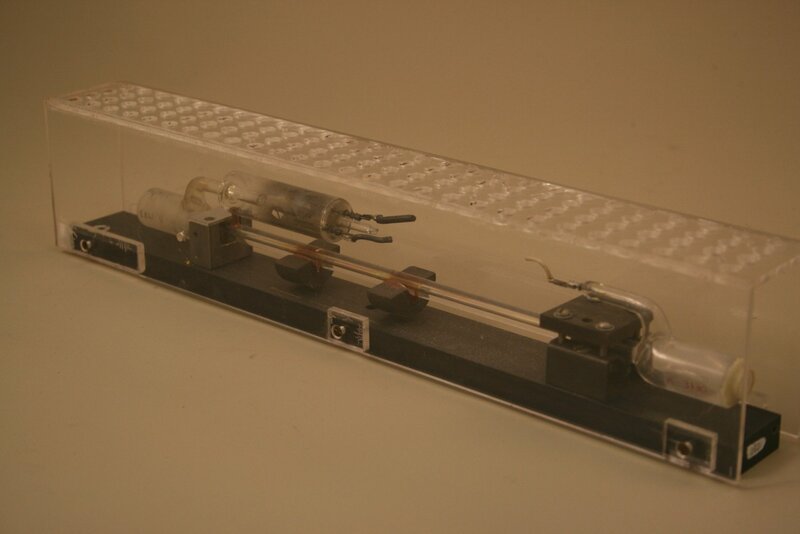 Long thin glass tube for main discharge, with open area each end and semi-silvered mirrors. The side tube contains one of the main electrodes plus a susidiary igniter electrode. The whole unit is enclosed in a plastic box for personnel safety.